"Christine Temetri is at her wits' end. For years she's covered the increasingly bizarre activities of the End Times cults for The Banner, a religious news magazine. Yet Christine, who once dreamed of being a 'real' writer, has nothing to show for the gig other than a regular paycheck and serious doubt that Armageddon will occur in time for her next deadline. But after a mysterious man entrusts her with a locked briefcase and orders her to "take it to Mercury," Christine finds herself face-to-face with a ping-pong playing angel by the name of Galileo Mercury. It seems Mercury was sent from heaven to make preparations for Armageddon, yet became sidetracked by the earthly delights he discovered: Rice Crispy treats, table tennis, and beer, just to name a few. Mercury's concern for the fate of mankind is middling at best, but he is happy to educate Christine on the details of the elaborate, if poorly organized, calamity to come. When Christine inadvertently saves the Antichrist - an obnoxious, thirtysomething gamer who still lives with his mother - from celestial assassination, she begins an ambitious battle to stop the Apocalypse and save the world. But the heavenly host is nothing if not persistent, and Christine, aided only by an apathetic angel and a reluctant Antichrist, has her work cut out for her. Packed with outrageous characters, Mercury Falls is a viciously funny (and occasionally absurd) morality tale for the twenty-first century." 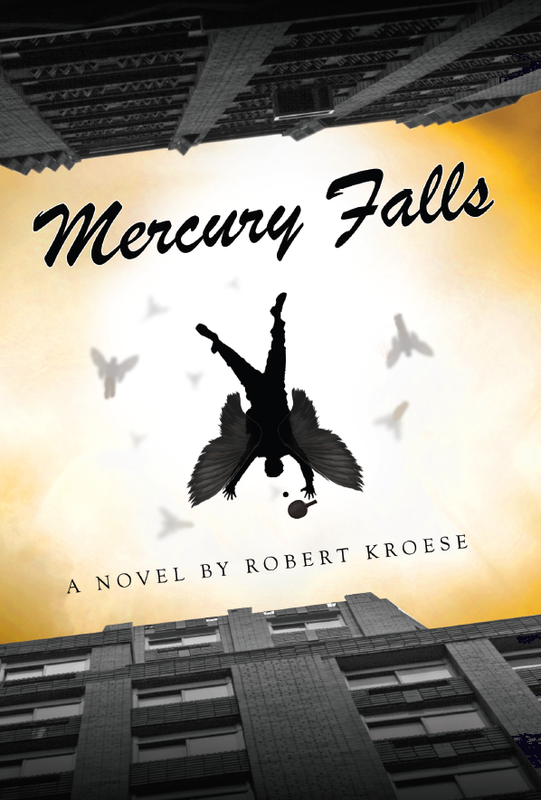 Mercury Falls is a bright and witty book about what is so often a topic of great debate and great controversy - religion. Christine, our protagonist, is pretty much like the rest of us, or the majority of us anyway, who are skeptical about religion and the afterlife. She is a reflection of those of us who maybe once believed, but having seen what the world is really like, question these beliefs, or abandon them all together. 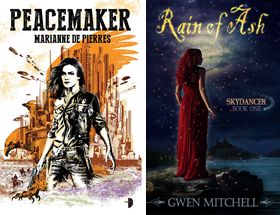 Her journey to faith is an interesting one, to say the least, as she meets Mercury, a fallen angel who has taken a liking to the Mundane plane, that is, the world in which ordinary human beings live in. It being the end times, Mercury is put in a difficult position - follow the plan for the Apocalypse as drawn out millennia ago by Heaven and Hell's best lawyers, or throw a wrench in it and do his best to save humanity and their world. When he meets Christine, who is led to Mercury by a series of bizarre events that she begins to learn were not so much bizarre as 'destined', he is pulled into a series of events that put he and Christine in a place to change the course of a predetermined history. Along with a reluctant, lazy, and intelligence-challenged Antichrist, they uncover a plot to sabotage Divine contracts, and must get past Cherubim and Seraphim red tape, High Courts of Divine Law, and of course - dodge pillars of fire from the sky. What I loved about this novel is that although it hits on some heavy topics, the tone manages to stay light-hearted and hopeful. The few serious conversations that these characters have are real, honest discussions of what faith and religion really are. Christine questions the plan for the Apocalypse, suggesting that maybe God didn't want the Earth to be destroyed in a great battle between good and evil after all, maybe all of these rules and regulations are there just to see if angels and mankind alike are going to make the right moral decision at the end of the day. This is of course, to the angels, completely silly. Their entire existence is based upon following rules and regulations. "I can't comprehend all the politics, but I can't shake the idea that somebody somewhere has to ultimately be in charge. And if somebody is in charge, then I can't believe that he or she or it has entrusted the fate of the world to some arbitrary bureaucracy. Life can't be all about deciphering puzzles and playing one side against another. Ultimately you just have to do what is right." This, I think is ultimately the moral of this story. Whatever religion you subscribe to or dogma you embrace, question whether the rules and tenants of these beliefs are helping or hurting the world. Religion can be a beautiful thing, faith is a wonderful thing, and mankind shouldn't be without it. But when people (or angels) get too caught up in literal interpretations of things that were written hundreds of years ago, and laws put into place before the society we live in now was ever even imagined, what does that really do to the world? Does it help it or does it hinder its progress? I think that Kroese was putting the simple idea out there that faith is what mankind needs, but more than ever mankind needs faith in itself, more than in the rules and laws and directions of the world's many different religions. Humanity has reached such great heights - that is why Mercury loves our world so much. At the end of the day, it's up to us humans to make a choice to make the right moral choice. And I think that's just brilliant. If you enjoy the humor of Douglas Adams and Terry Pratchett, this is a book to pick up. It's exciting, funny, thought provoking, and well written. Mercury himself reminded me of The Big Lebowski's The Dude, if The Dude had angel wings. Christine is a feisty and intelligent female lead. This book was a pleasure to read and I hope to see more from this author in the future. I really like your review. I am reading the book right now and all I can see is the absurdity of the events. Thanks for giving me a new perspective of the book.